Thinking of throwing together one last Great American Road Trip before the summer draws to an end? Though it's always an option to depart from your own driveway, an affordable rental car allows you to cruise around highways and byways that are far from home. Toss in the fact that you won't be adding miles and wear to your own vehicle, and the burden of responsibility is further lifted. Of course, scoring a deal is what makes it all worthwhile, and not all cities price rentals similarly. Here's a look at the best airports to fly into for a cheap ride – and some of the gorgeous roads that lead to them. Honolulu: It'll come as a shock to many that one of America's most gorgeous states is also one of the cheapest to rent a car. Yes, flying to any of the state's islands is pricey, but at least you'll find seriously discounted wheels once you arrive. The average daily rate for a midsize car on any of Hawaii's islands is around $20, with Honolulu routinely being the cheapest. The reason? Inbound passengers to Hawaii are almost entirely of the tourist variety, which are far more price-conscious than the business traveler. Honolulu also has the most direct flight options of all the Hawaiian islands, so it's generally the cheapest to fly into as well. Orlando: A huge quantity of passengers arriving at the Orlando airport don't bother venturing out beyond Disney World, so in a lot of cases, a rental isn't exactly a necessity. Plus, Orlando is the second biggest conference city in the country after Las Vegas, so there's no question that supply is plentiful. A midsize car can easily be had for around $19 per day, and if you bother to venture out, Florida's coastline and the interior lake region is worth exploring. New Smyrna Beach, Cocoa Beach, and Lake Kissimmee State Park are all within an hour. For the true road trip aficionado, a 6.5 hour trek down to Key West is one of the most rewarding drives in the world (and let's not forget about Florida's action-packed Space Coast). Las Vegas: You've probably noticed, but the bulk of passengers flying into McCarran Airport usually have just one destination in mind: the Strip. Thus, it's pretty difficult to get the average high roller to see value in renting a car. Those who are interested, however, will find rates around $23 per day for a midsize car, perfect for exploring the scenes just outside of Vegas. Lake Mead National Recreation Area and Valley of Fire State Park are under 1.5 hours away, and offer up some of the most incredible desert mountain landscapes in the entire region. Just a state over, Utah Highway 12 offers a ride through a number of local and national parks, and both Mount Charleston and Death Valley National Park are just a day trip away. Miami: Los Angeles may be known as the city that drives, but try getting from South Beach to Downtown Miami without a car and you'll soon find yourself quite stuck. One viable option is Cars2Go, a Zipcar-like hybrid that offers cars by the minute ($.38), hour ($13.99), or 24-hour period ($72.99); in addition to competitive rates, Cars2Go is also notable in that it makes the actual rental process incredibly easy. Simply show up at one of the designated locations, swipe your membership card in front of the car, answer a few questions on an in-car touch screen, and off you go! Assuming you're the spontaneous type, you can decide on the spot how long you want to rent it for, and it's not necessary to drop the car off in the same place you picked it up. Washington, D.C.: The nation's capitol is a sightseers paradise with a great public transportation system, which leads to more competitive rental car prices. A midsize car can usually be had for around $28 or less. D.C. has one of the most extensive public transit systems in the country, so those flying in don't even need a set of wheels. However, splendid backroads in the mountains of Virginia and Maryland are under an hour away, making this city a perfect launchpad for a scenic road trip. 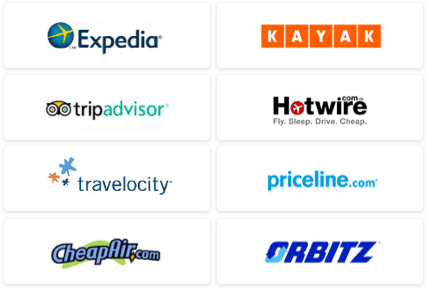 I generally recommend booking car rentals via Hotwire or Priceline for their outrageous deals. However, you'll need to be absolutely certain of your travel dates – in exchange for excellent rates, no leeway is given whatsoever to change the rental once it's booked. 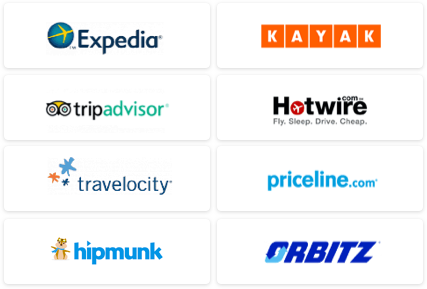 Have you scored a great rental deal in a city not listed here? Let us know in the comments section!